Dainty Dot really is a little dot — she only weighs 3.8 kg! 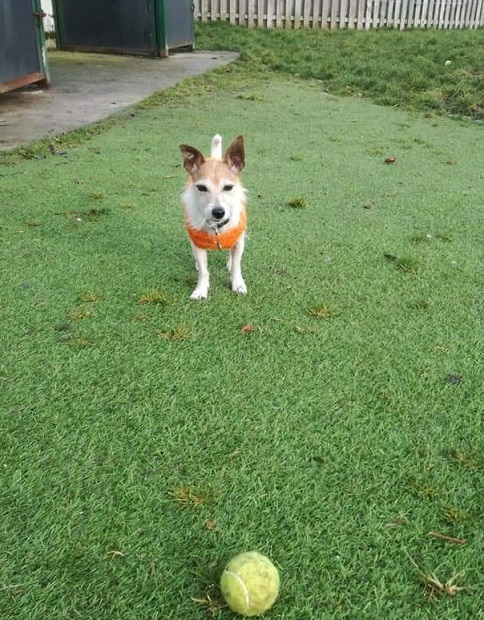 Dot is at Freshfields Animal Rescue, in Liverpool, waiting for someone to offer her a new home. 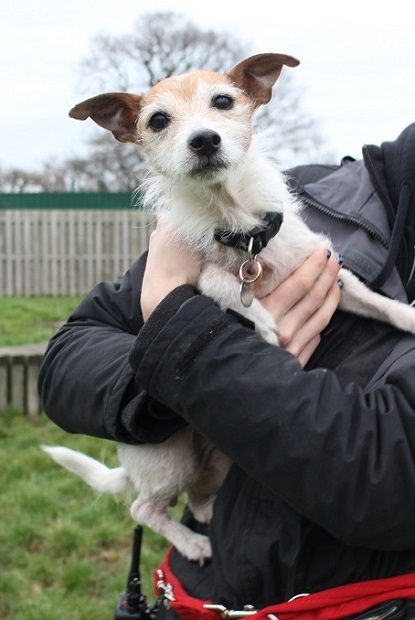 Dot’s previous owner could not afford to give her the veterinary treatment she needed, and Dot sadly had a skin condition, most likely caused by untreated fleas. Due to this she was bald on most of her back, and her skin was red and itchy, but she has responded to treatment wonderfully and her fur has already begun to grow back. She is starting to look and feel so much better! 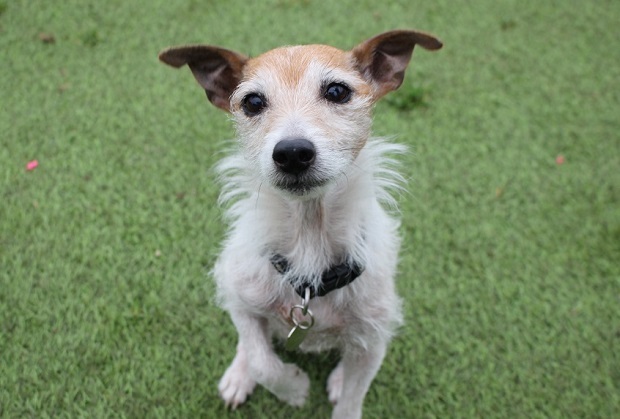 Dot is simply the sweetest, tiniest little lady and she is absolutely full of character. She currently lives in the Freshfields staff room, where she keeps the staff thoroughly entertained. She likes to tuck herself under her favourite blanket but will peep her nose out the minute she detects a crisp packet being opened. She is an affectionate girl and will make the perfect little lap dog. Dot was used to having children visit her last home and so she could live with sensible children over the age of 10. 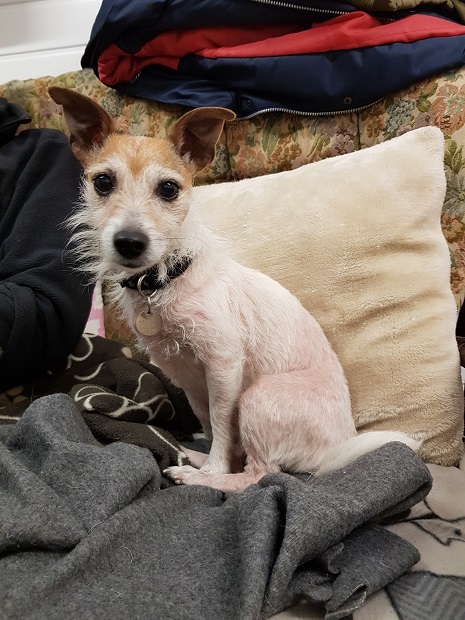 She lived with another dog previously and so could live with a compatible dog in her next home, however, due to her tiny size, it would need to be a dog of a similar size and with a placid temperament. She doesn’t like cats. Dot would be best suited to a quiet household with someone around for most of the day. It is important that her new owner is financially secure to be able to continue supporting treatment and prevention of her skin condition, and she will need to be kept on a hypo-allergenic diet. 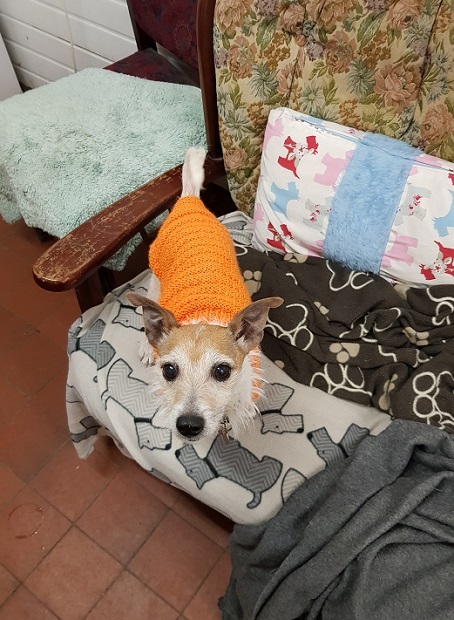 Dot has recently had a dental, with 5 teeth removed, and she will need to be spayed at the appropriate time. If she is rehomed locally the spay could be done at Freshfields. Freshfields are covering the cost of the spay. Dot is such a sweet little girl and she will make the most adorable, entertaining companion. Could you be Dot’s new owner? Please mention that you saw Dot on the Oldies Club website.